Share the post "Care and Share"
One of my longtime clients stopped by today to chat about some real estate issues she has facing her in the near future. I supplied her with as much sound advise as possible as well as several alternatives. People who own investment property sometimes don’t understand that having income producing properties is like having a part-time or full-time second income producing business. It’s like some people who have full-time jobs and do what some consider moonlighting on the side for extra income. Some of them do quite well with the side jobs simply because they’ve created a market “niche” for themselves. I could go on and on with the list of moonlighting jobs that would really place a more competitive edge on pricing and quality of work being performed by the few who have it as their only job. One of the side jobs I wish we had more of is wood floor finishers and restorers. Since I’m fully familiar with what it takes to re-finish and repair hardwood floors, I can say it isn’t that complicated as long as one gets the hang of it. I attempt to encourage people to do it themselves and some have actually done a very good job with it simply by following some of the key points I’ve shared with them. More and more people are opting to have their hardwood floors re-finished and placed into use. It’s not so much the cost-saving, but also allows one to have a more cleanable living environment. 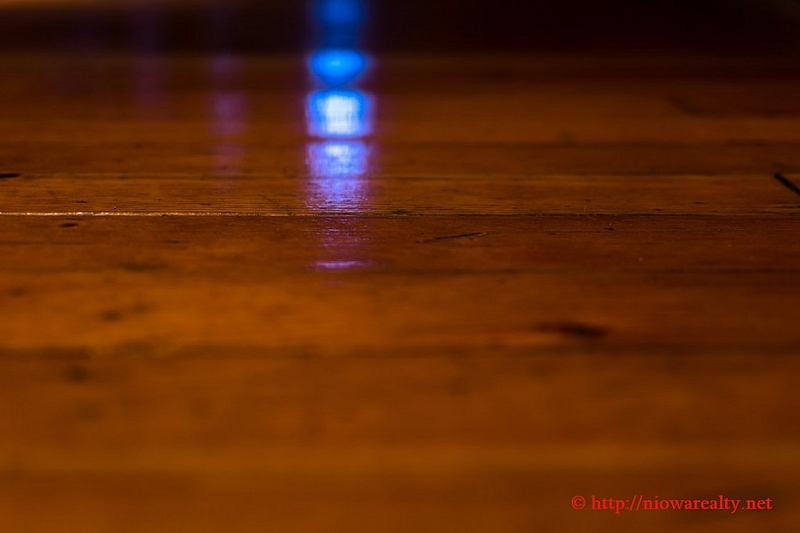 My favorite types of hardwood flooring is hard maple and clear red fir. They both have their own unique features. Hard maple shows very little grain and when the flooring is seasoned with age it has a honey colored cast when varnished, and of course it’s very hard and a little more scratch resistant. In the past, red fir was considered the poor man’s oak where as it ages becomes harder and harder. The grain of fir is more visible and sometimes has some wild character to it which makes it all the more interesting. One of the private offices in my building has a distressed red fir floor that’s absolutely gorgeous. Some day I’m going to take a photo of it and share on-line. I’d considered moving my personal office back there but thought it not a good idea since I would be too far from the front desk. As I’ve said before, it would be very interesting if the walls and floors of some of the old homes and buildings here could speak. There would be certainly some interesting stories to tell. I stopped by a home several weeks ago that actually still has the gaslight brackets hanging from a wall. I haven’t seen those here in the city for a very long time. One of the contractors that’s been doing some work for me mentioned several days ago that he collects mid-century light fixtures and shared some photos of them with me. I’ll have to keep my eyes peeled out for any interesting ones I happen upon. It gives me great pleasure to find things that people I know are collecting and give to them as a sort of paying forward, as well as an incentive for them to step out of their boxes and do for others. Both children and adults learn by example, and most times follow suit. I was surprised several days ago by the gift of music book that I had always wanted to take time to go and find. I mentioned it just once to some dear clients one day, and not but a week later they showed up with one. A very nice act of kindness. The bottom line is that if we truly have the best of intentions for others, then it’s time to care and share.